Pool Nation VR demonstrates more than just how pool physics will be experienced in the VR space. Players will be able to interact with all sorts of objects, create trickshots with any plates, bottles and other items in the pool hall, play virtual darts, and take part in the time-honored pastime of throwing empty beer bottles against the wall. 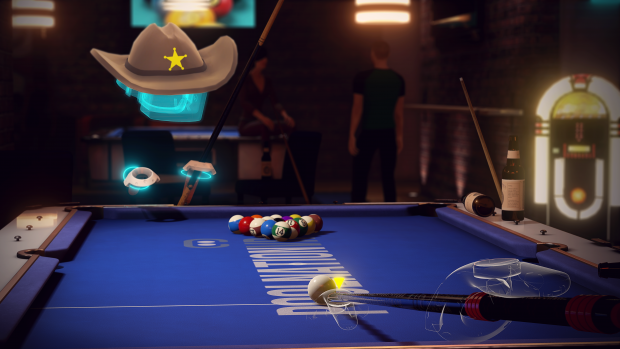 With the most advanced proprietary physics engine honed for billiards realism, Pool Nation VR aims to deliver the most interactive VR pool experience in the most chilled VR hangout.